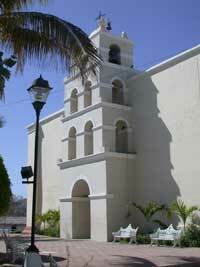 Todos Santos is where history and art meet. A former century sugar cane milling town in transition to become a recognized artsy colony. Known as an oasis, the town overlooks brackish streams, verdant palm grove and the beautiful ocean in the distance, but the best sights are in its streets. Your adventure starts with a complimentary pick up at your hotel, the drive features scenic sights of the Pacific Ocean and the beautiful Sierra Madre Mountains. During the season, you may get luckier and even spot majestic Gray whales as they make their way home across the coastline. Once in Todos Santos, you’ll be greeted by iconic palm trees, a river that runs through town and colorful houses and architecture rich in history. During the tour, we’ll visit the Regional Anthropological Museum, one of the most representative buildings of Todos Santos, as you see the other buildings and houses, you’ll notice a pattern on the personality of the architecture. We will also browse some of the art galleries, visit the historic mission and center, and we’ll stop at the famous Hotel California, the one that inspired the famous single by “The Eagles” You’ll enjoy some free time for lunch, shopping, taking pictures or talking to the locals before we take you safely to Los Cabos. All Ages Welcome. Kids prices apply to ages 5-11 years. Kids under 5 years are free. Compare to the "Discover Todos Santos" Shore Excursion.